Meet some of the world's best founders and their latest ventures. YC Summer 2017 alum bxblue is the leading marketplace for payroll deductible personal loans in Brazil. We help government workers and retired people find the best possible personal loans. These people have guaranteed income, which is used as a loan collateral, with payments automatically deducted from their pay checks, resulting in the best rates in the market. 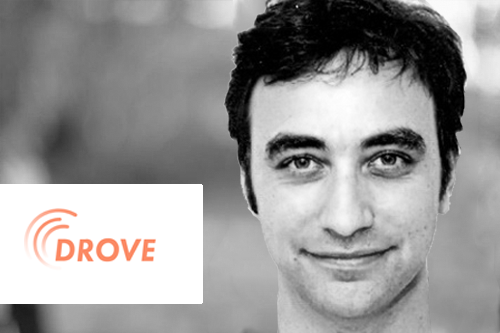 2X founder CEO Gustavo "Guga" Gorenstein previously founded Poup, Brazil's leading online cash-back rewards sites and is an active startup community leader, helping create and run Startup Weekend Brazil with Steve Blank and his co-founders Roberto and Fabricio. Imagine if doctors could read every research paper and scientific publication ever written, then normalize, enhance and connect the dots to better diagnose and treat patients based on their DNA. That's what emedgene's genomics A.I. engine does. Its already 60% more effective than humans at diagnostic yield and they're just getting started. 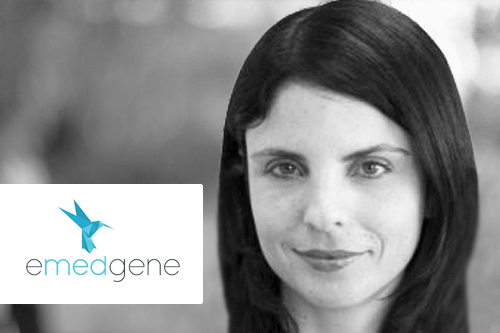 Founder CEO Einat Metzer joined the right side of the table after a successful career as a VC in Israel. She's a multitasking mom and a powerhouse startup community leader that co-founded Yazamiot, Israel's 1,500 member hi-tech women's founder club. Einat has been a TechAviv Founders Club member since Nov 2008. When 8200 superstar Roi Chobadi was finishing up his MBA at Stanford GSB he realized that his peers, the very best tech talent in the world, were struggling to find their dream jobs, not from a lack of choices, but from an overabundance. Similarly, every tech company in the valley and beyond was struggling to hire and retain the very best. So Roi and friends from 8200 built the world's first A.I. talent agency, Stellares, matchmaking top talent with their perfect jobs based on more heuristic variables about talent and companies than a human recruiter could ever process. 4X founder Roi Chobadi previously founded LiquidM (Acquired by Ligatus), a white-labeled SaaS big-data mobile advertising management platform. Roi has been a TechAviv Founders Club member since Nov 2012. Daniel, his best friend and previous co-founder Dror, his wife Michal, her twin sister Meirav and tech genius Avi Smila are propelling weight management into the future through science and technology. Their product, Lumen, a small handheld device and mobile app is a nutritionist in your pocket. Simply breath into once and Lumen analyzes the current and ongoing state of your body's metabolism in order to recommend specific foods to eat, when to rest, when and how to exercise, etc. in order to achieve your goals. Once you have the data, you never have to go back to guessing. 3X founders Daniel and Dror previously founded Joongel and Wibiya (Acquired by Conduit). They've been TechAviv Founders Club members since Sept 2008. For years early Internet pioneer Arik Czerniak had been harboring a frustration with how ineffective his favorite politicians were at galvanizing the increasingly online masses to take action. In the meantime he went on to found the iconic YouTube predecessor Metacafe, and mobile advertising powerhouse Supersonic. After selling Supersonic for $200M in Nov 2016, Arik set out to scratch his itch. Unlike social networks which make passive followers feel like they are contributing my "liking" posts, Drove empowers leaders to recruit top followers and mobilize them directly, track performance & reward them efficiently. Arik has been a TechAviv Founders Club member since Nov 2009.